The Shaver family of new car dealerships began on October 9th, 1935 on Hohman Avenue in Hammond, Indiana. This was the grand opening of Shaver Pontiac, Inc. by my great-grandfather E.L. Shaver. Prior to becoming a new car dealer, E.L. and his 3 brothers were farmers in Gibson City, IL. E.L. and his brothers were determined to get into the fast growing technology of new vehicle assembly and distribution. E.L. went on to have three children- Frank, Bob, and Jean-Alice. 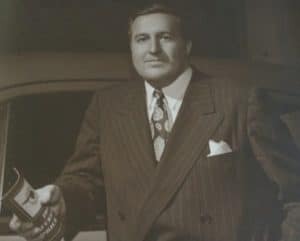 Upon E.L.’s death in 1960, my grandfather Frank became the dealer and President of Shaver Pontiac. Shortly thereafter, Frank Shaver opened a separate Used Vehicle and Leasing Operation- Shaver Preferred Motors. After graduating Regis University in 1964, my father, Peter Shaver went to work at Shaver Preferred as General Manager. 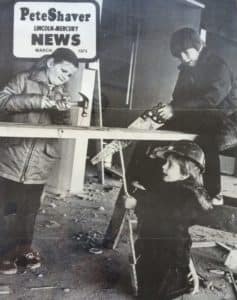 In 1968, Peter Shaver opened Pete Shaver Lincoln Mercury in Hammond, later relocating to Calumet City Illinois in 1975. His hard work, along with Ford’s launch of the all new Lincoln Mark IV, resulted in the dealership achieving top ranking in the metro Chicagoland area. Pete relocated to the Thousand Oaks, Calif. area in 1984 and became General Manager of Lembas Pontiac in the all new Thousand Oaks Auto Mall. 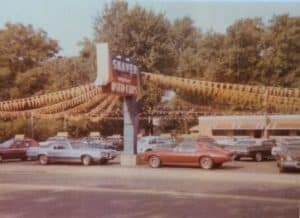 In 1987, with the help and support of General Motor’s Motors Holding Division, my father purchased Lembas Pontiac and on February 27th, 1987 Shaver Pontiac was open for business. In 1988, Pete added a quirky division of American Motors Company- Jeep. Jeep was a natural complement to the Pontiac line and thousands of customers annually were soon driving Shaver Pontiacs and Shaver Jeeps. 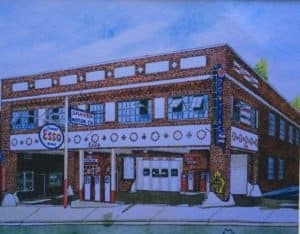 During this period all of Pete’s sons worked at Shaver Pontiac Jeep and learned the car business from their father- just as Frank had learned from E.L. and Pete had learned from Frank- putting the customer first and leveraging Midwestern sensibilities to conservatively grow the family dealership. In November 2006, after many years of saving, I purchased a small percentage of Shaver Pontiac-Jeep. Andrew Shaver became President and a fourth-generation Pontiac Dealer. The American Auto Industry was ravaged in 2008 and there were many hard times for us all. Fortunately, the challenging environment created opportunity. With a little luck and a lot of hard work, I was able to complete the purchase from my father in 2010. And on April 20th 2011, Shaver was able to add Chrysler Dodge Ram and FIAT to its Jeep franchise, creating a full line Chrysler dealership for the Thousand Oaks community. Since opening in 2011, Shaver ranks in the top 10 in sales and customer satisfaction within Chrysler California and top 50 Chrysler National. Shaver is a Five Star Elite Dealership and has been awarded the highly coveted Pentastar Award of Excellence in 2011, 2012, 2013, 2014, 2015, and 2016. 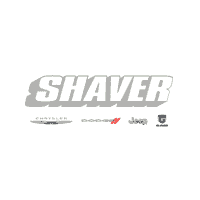 The Shaver Dealerships have strong ties to the community and various charitable affairs. We have been involved with and supported both the Challenged Athletes Foundation and the Magic Johnson Foundation, as well dozens of local schools, churches and sports teams.